Strayed or Stolen, from the Subscriber lately a Red Cow with lofty horns, a white tail, a spot near her udder and very vicious. Any person giving information where she may be had, shall have two dollars reward with reasonable changes by applying to Robert Sleith. 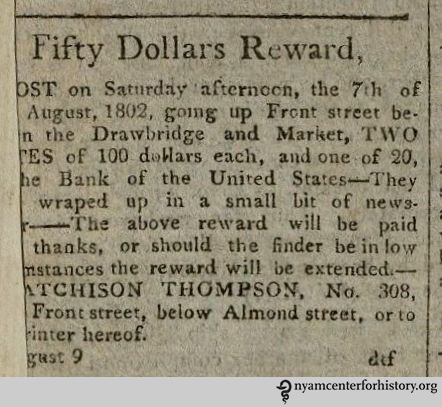 An advertisement for a different lost cow offered three dollars as a reward. I suspect she was of a gentler disposition. 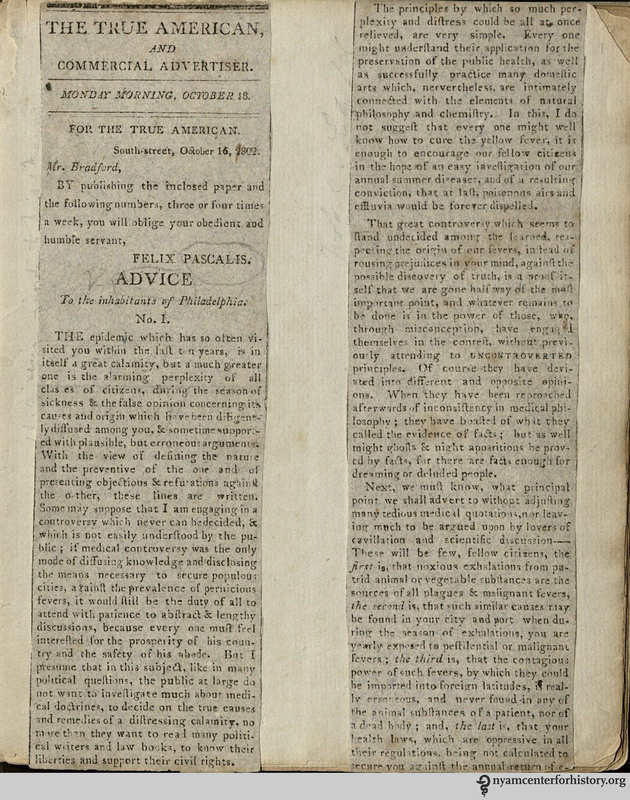 The back of a clipping in Clippings from “The True American” and manuscript notes, circa 1802. Click to enlarge. 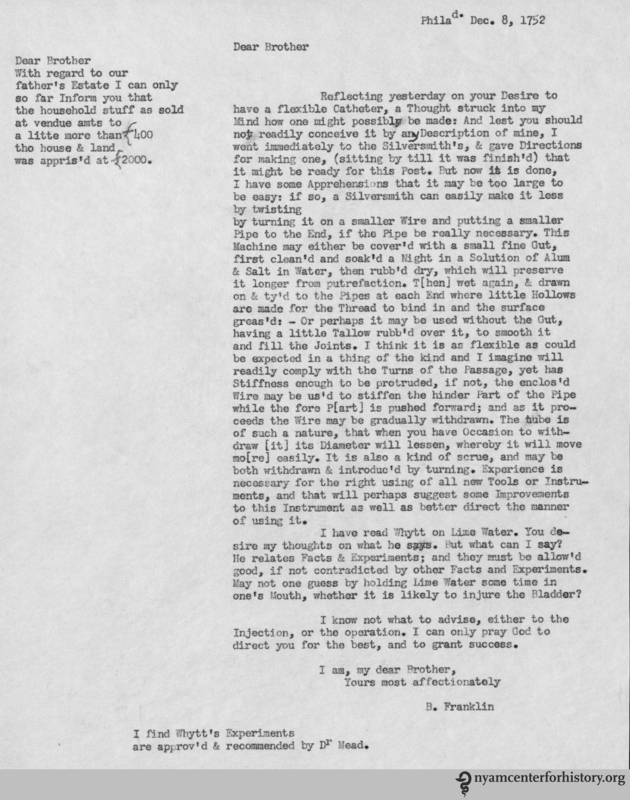 As amusing as the classified ads are, the clippings and manuscript notes hold the real appeal. The volume was the work of Felix Pascalis Ouviere (1762-1833), a French-born physician. Pascalis, as he is commonly known, studied in Montpellier, lived for a time in St. Domingo, and moved to America. 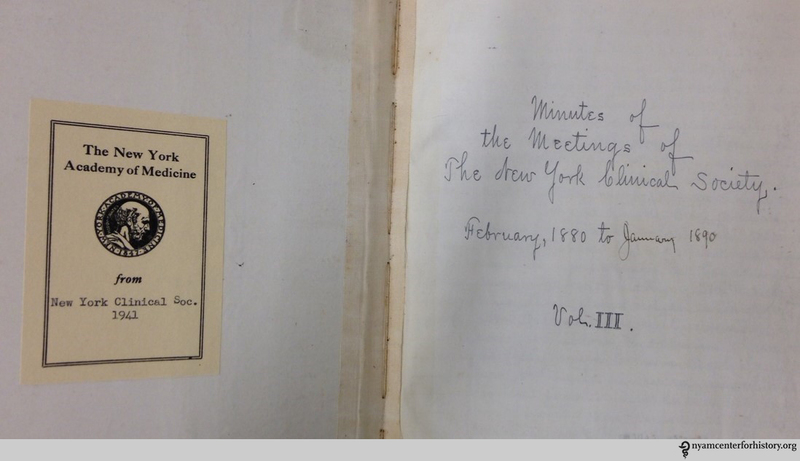 He co-edited the Medical Repository, the earliest American medical journal. 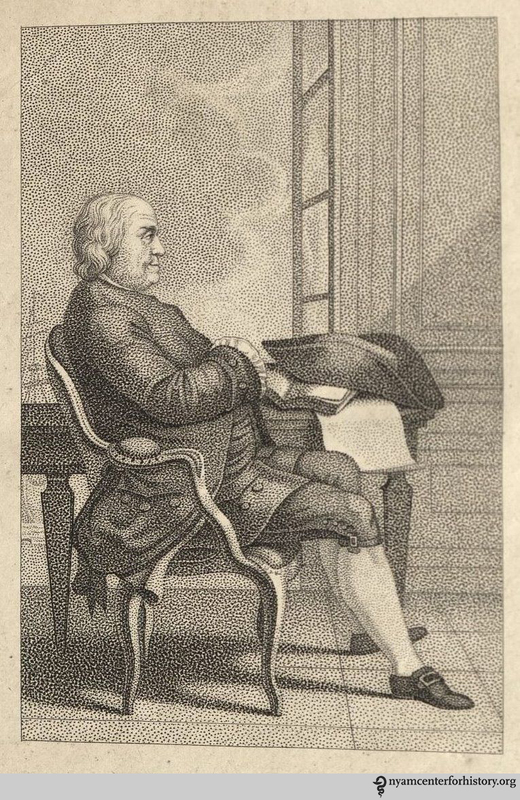 He also wrote about yellow fever, commenting on the outbreaks in Philadelphia and New York.1 The clippings in this volume are of his “Advice to the inhabitants of Philadelphia,” a series of nine parts published in the True American and Commercial Advertiser regarding yellow fever. A clipping in Clippings from “The True American” and manuscript notes, circa 1802. Click to enlarge. The volume of clippings will soon be available to readers after a visit to the Gladys Brooks Book & Paper Conservation Laboratory. In addition to this volume, our collection also holds several printed works by Pascalis, as well as considerable other materials (correspondence, manuscripts, diplomas, and more) that are not currently represented in our online catalog. 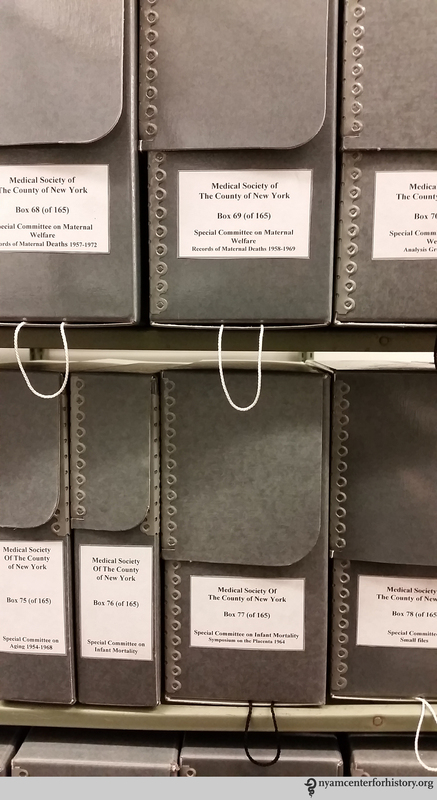 If you are interested in these materials, please email us at history@nyam.org. 1. Kelly, Howard A. (1928) Pascalis-Ouviere, Felix A. In: Dictionary of American Medical Biography. New York: D. Appleton and Company. From the congestion, decay, stench and pestilence of Five Points to the rolling pastures and sweeping Hudson vistas uptown, life in 19th century New York was markedly different than it is today. For the mentally ill, the contrast between life then and now is even starker. 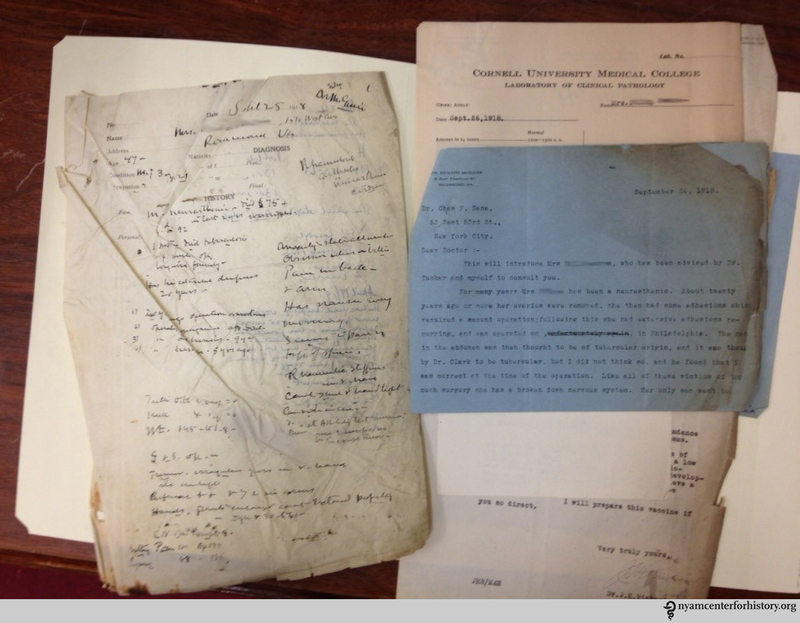 The NYAM Library’s archival collection of Dr. Alexander E. MacDonald’s papers opens a window into this fascinating and somewhat grim world. Sample items from the collection. Purchased in 2005, the materials in this collection cover the period in Dr. MacDonald’s life from 1869 to 1906, concerning most especially his tenure as Superintendent of the New York City Asylum for the Insane, Ward’s Island (which later became the Manhattan State Hospital) and as General Superintendent of the New York City asylums. 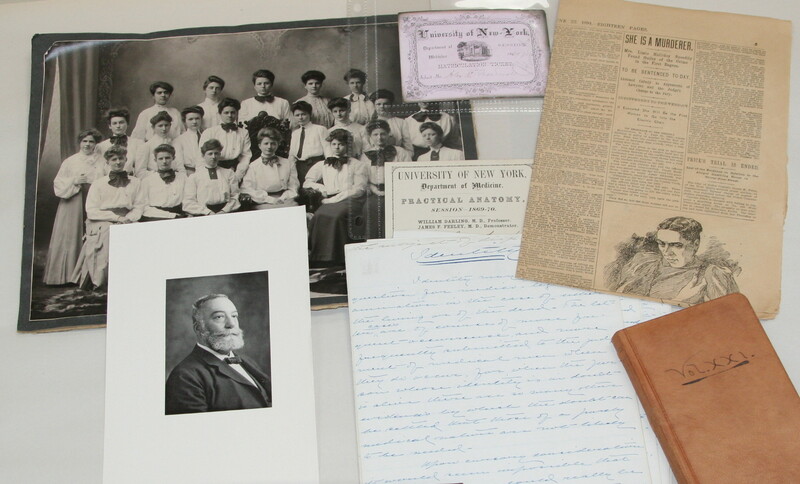 The collection, which is 8.5 linear feet, includes correspondence and personal diaries, manuscripts, photographs, printed pamphlets and reports, legal documents and press clippings. 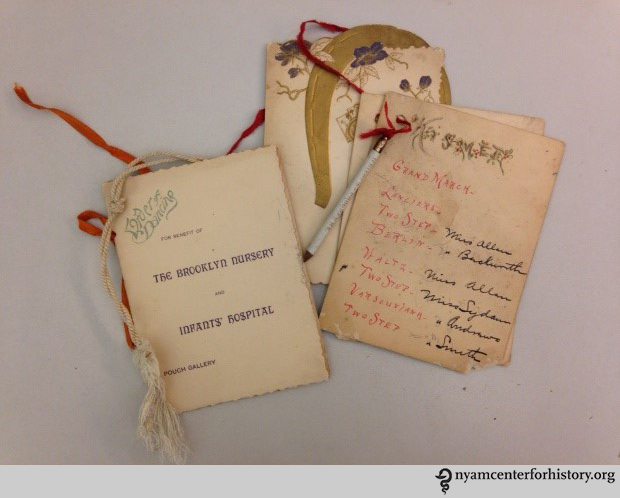 Taken together, these materials paint a picture of day-to-day life in the asylums at a time when firmly entrenched draconian attitudes towards the treatment and care of mentally ill patients were just beginning to change. As a case in point, Dr. MacDonald (who was also a Fellow of the New York Academy of Medicine) is credited with establishing an outdoor tent treatment for asylum patients suffering from tuberculosis – a novel method that garnered accolades worldwide. 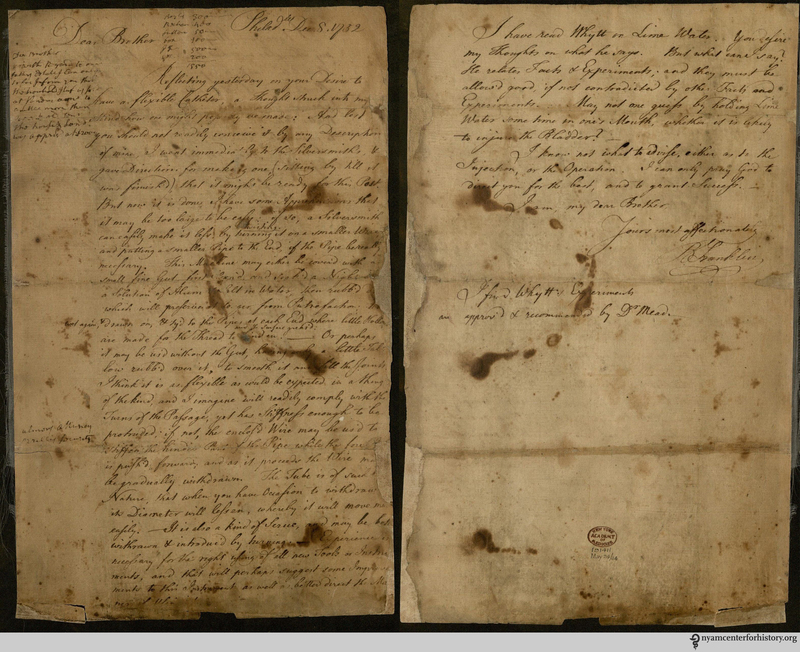 Photographs, articles and notes on the subject are included in this extensive archive. 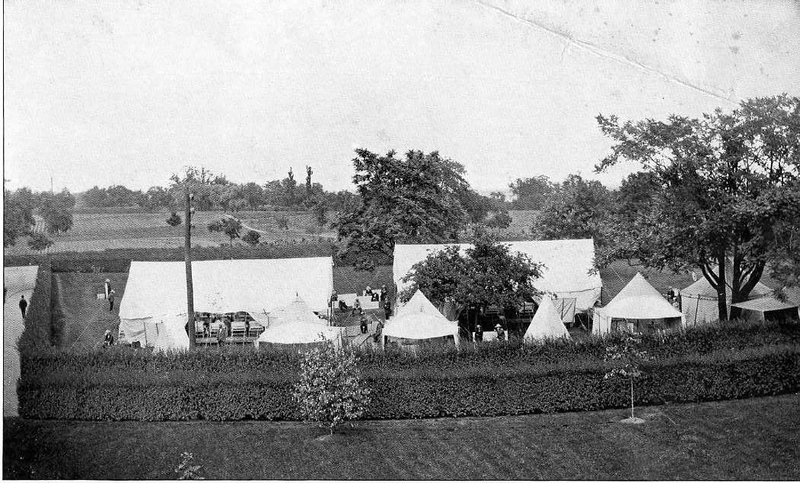 Tent city for tuberculosis patients, 1901. 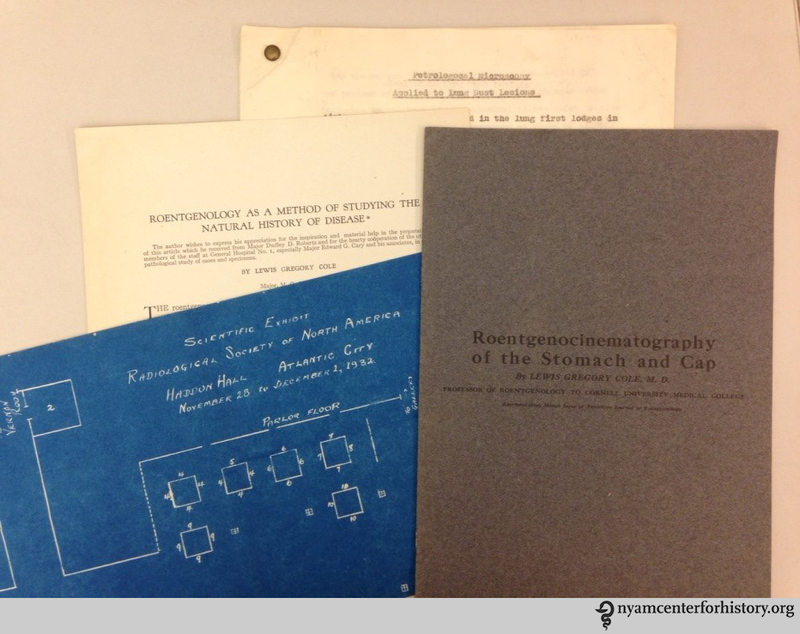 The Alexander E. MacDonald papers have now been processed and were minimally stabilized and rehoused in the Gladys Brooks Book & Paper Conservation Laboratory. 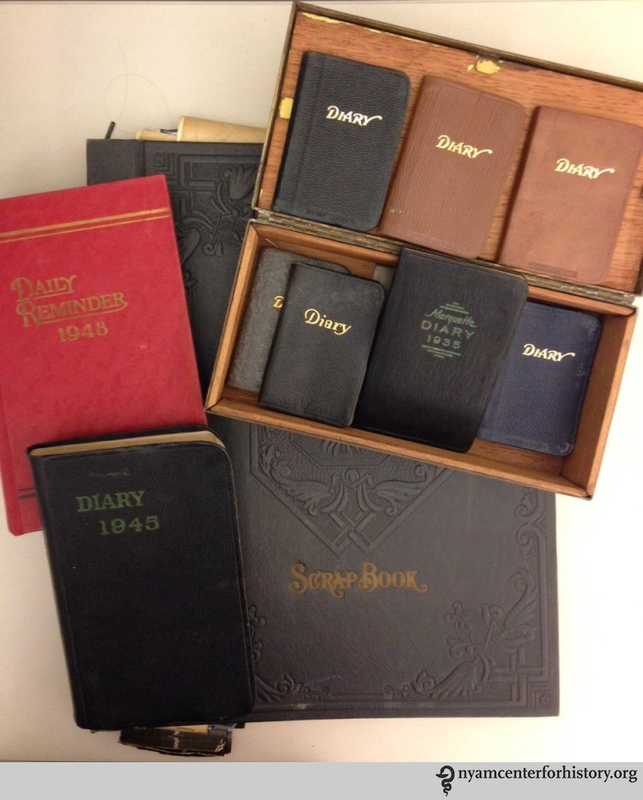 For more information or to make an appointment to use the collection, contact the Rare Book Room at (212) 822-7313 or history@nyam.org. 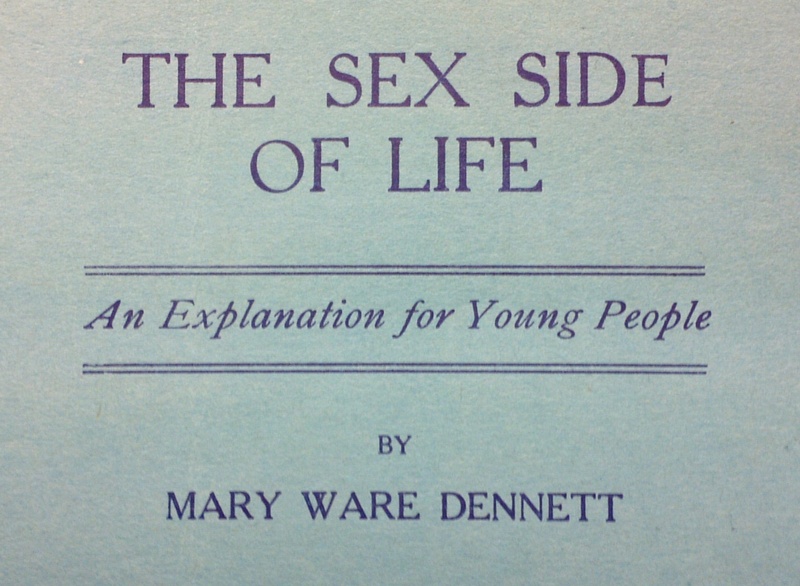 The finding aid is available by request. To see where Dr. MacDonald’s Asylum for the Insane once stood, take a walk on the Ward’s Island pedestrian bridge at 103rd Street across the Harlem River to Ward’s Island Park, where you will now find playing fields, bike paths and a scenic waterfront.